KRYP Cosmic Fog E-Juice 60mL is the classic candy flavor from Cosmic Fog that offers a delicious mix of fruit and sweets to create one fantastic flavor. Featuring a blend of sweet and refreshing cool melon matched with your favorite tart candy, together they make an extremely addicting vape that you simply will not be able to put down. Cosmic Fog Vapors manufactures each of their premium vapes from start to finish in a ISO8 clean lab facility after spending a minimum of 7-10 months of intensive research and development to create the absolute best quality vapes imaginable. 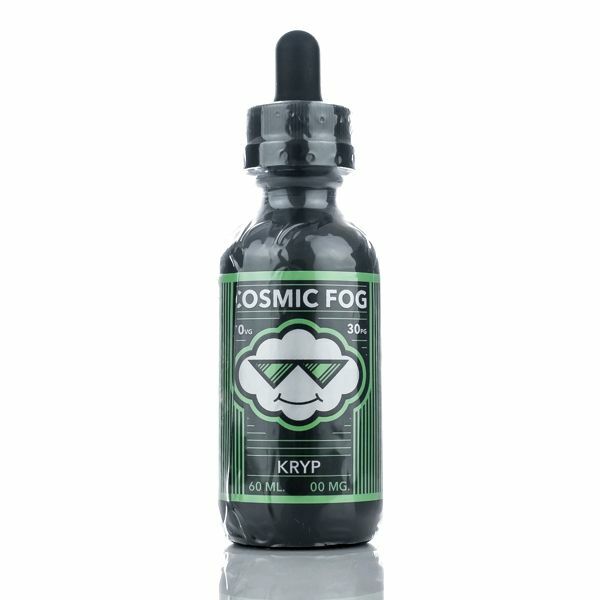 You can purchase KRYP by Cosmic Fog Vapors in 60mL child resistant glass bottles with a 70/30 VG/PG blend for amazing flavors and even better clouds.